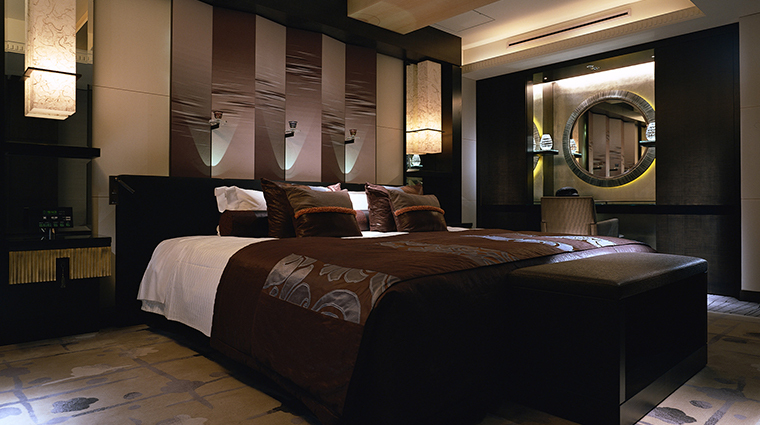 An exclusive alternative to Japan’s larger hotels, Hotel New Otani Tokyo Executive House Zen is a luxurious retreat in Tokyo’s Chiyoda district. 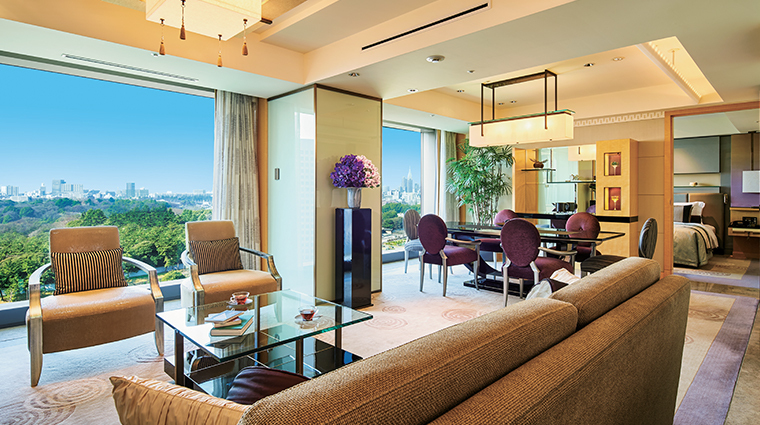 Situated within walking distance of Akasaka Palace and Japan’s government offices, this sumptuous property occupies a prime perch just south of the capital. 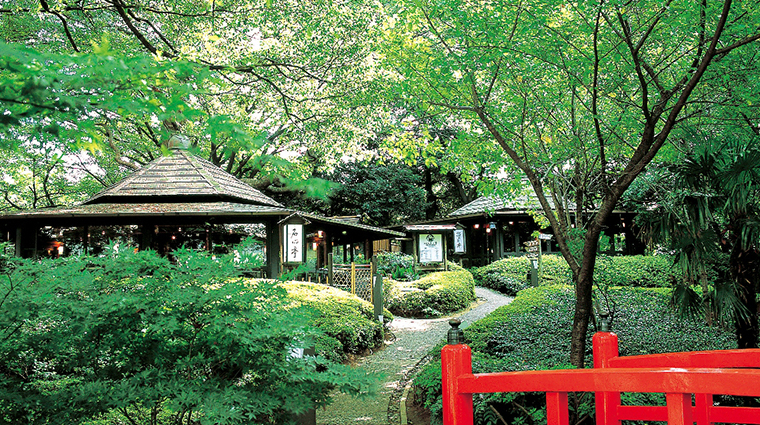 Although it’s in one of Tokyo’s busiest corners, this hotel-within-a-hotel is a world away from your average urban stay: quiet and calm, it resides in a garden setting that embodies the spirit of Zen without sacrificing any modern creature comforts. 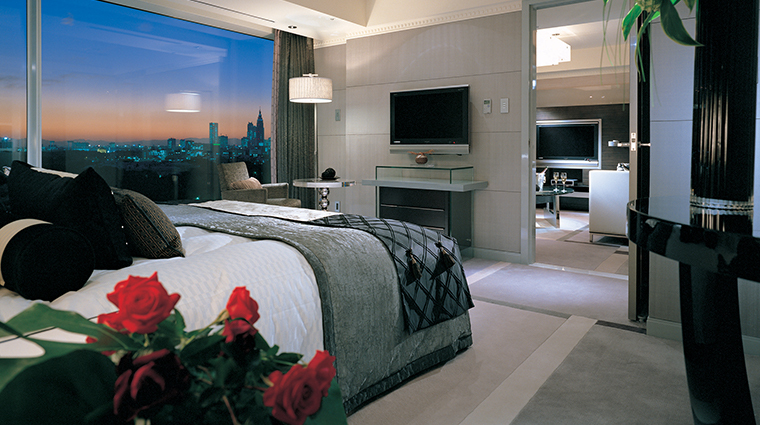 You’ll even receive access to Hotel New Otani’s extensive facilities (a health club and spa, vast gardens and 38 restaurants) while also enjoying the private respite 11 and 12 floors above the bustle. 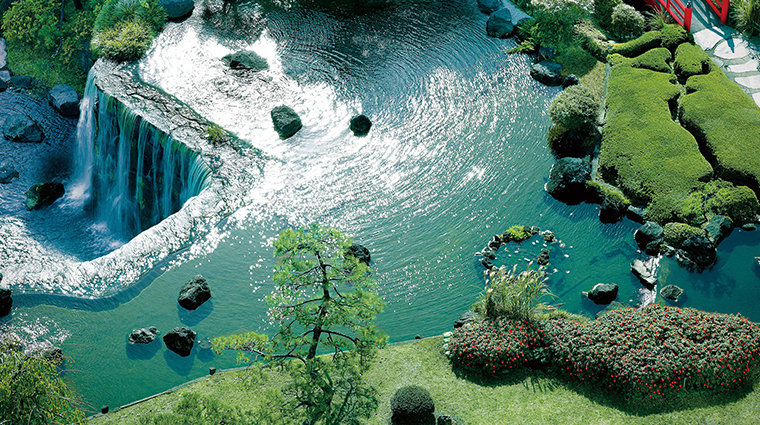 The 400-year-old Japanese garden makes this luxury hotel a must-see for visitors to Tokyo. 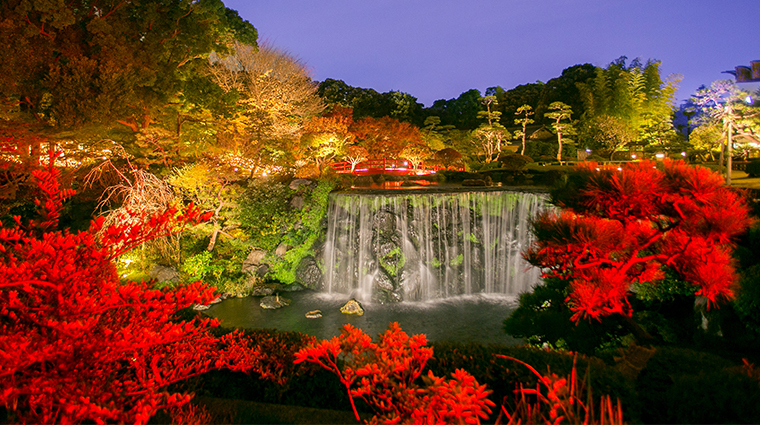 Stroll through 10 acres of greenery, rocks and waterfalls; see the highly prized school of koi carp in the pond; and walk across the vibrant red Japanese bridges to find a quiet nook to sit and read. A stay at Executive House Zen affords you complimentary entry to The Golden Spa, the building’s exclusive sports club equipped with a sauna, pool and gym. 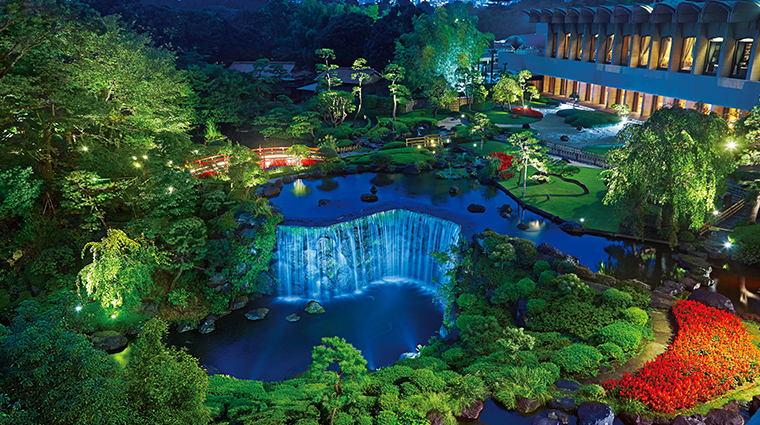 New Otani is one of the largest hotel complexes in Tokyo and as such, Executive House Zen guests have everything at their fingertips: hair salons, florists, wine stores, gardens, indoor and outdoor pools, medical facilities, banquet halls and a wide selection of restaurants. Don’t skip the sweets in the Executive Lounge. 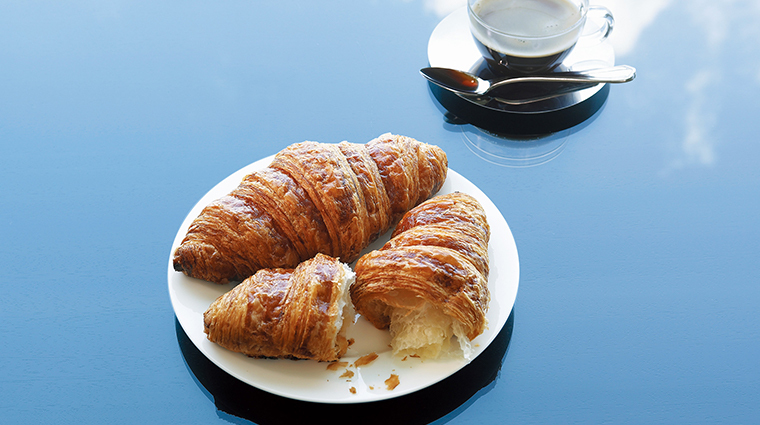 The pastries are provided by Pierre Hermé, a renowned French patissier who was invited to Tokyo personally by the hotel owner. The pastry chef also has a shop on the lobby level. 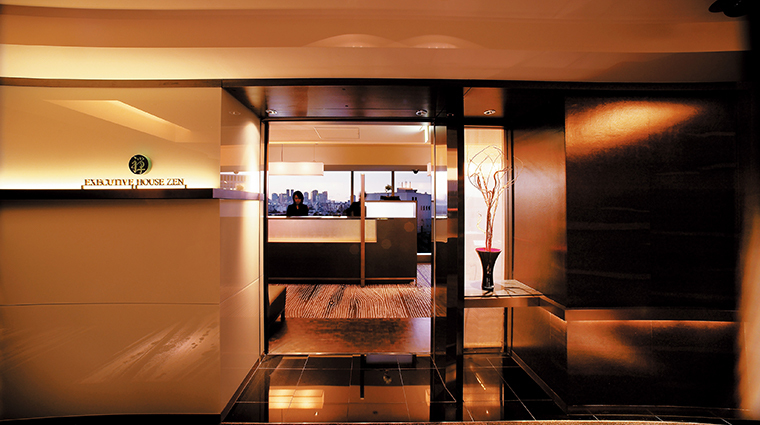 Offering one of the best locations in town, Executive House Zen is close to the financial district, government buildings and the nightlife hub of Roppongi. 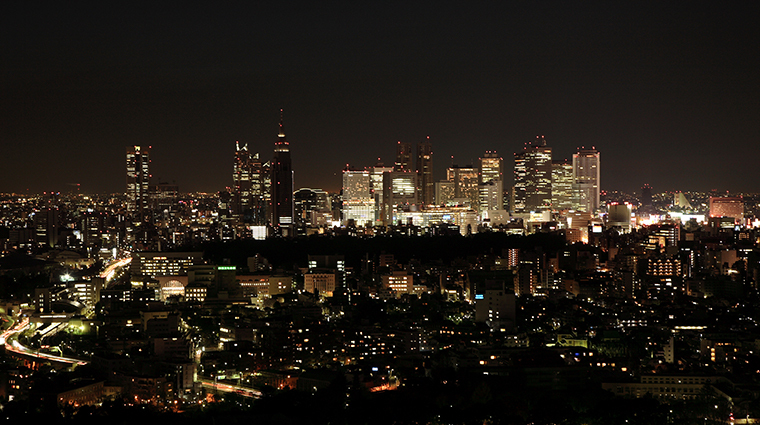 The Tokyo hotel is surrounded by parks, palaces and temples, and the Executive Lounge provides unobstructed views of Mount Fuji, Akasaka Palace and the city skyline. 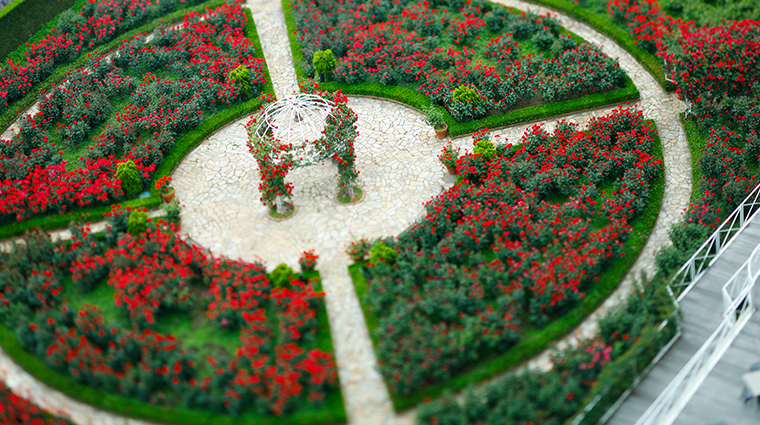 For the ultimate in romance, book an exclusive breakfast for two (available seasonally) in Hotel New Otani’s rooftop rose garden. 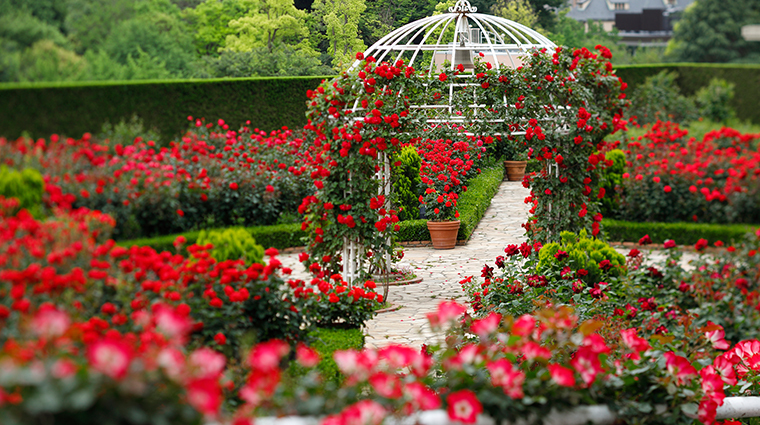 Surrounded by 30,000 blooms — early summer and fall are the best times to visit — you and your special someone can dine on fresh fruit and pastries in complete seclusion — the experience is only offered to one couple per day. As an added perk, your stay at Executive House Zen includes access to the Executive Lounge and its six daily culinary presentations. Enjoy complimentary breakfast each morning, and light meals, snacks, coffee and drinks throughout the afternoon — be sure to stop by for a nightcap and a few chocolates before heading off to bed. 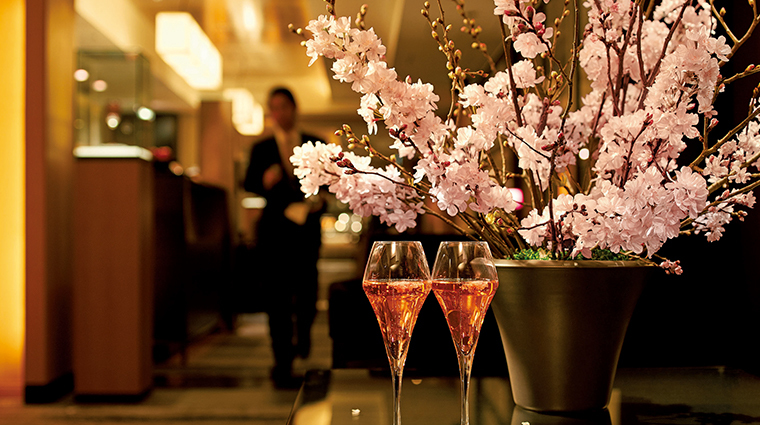 Hotel New Otani has its own label of Drappier champagne. 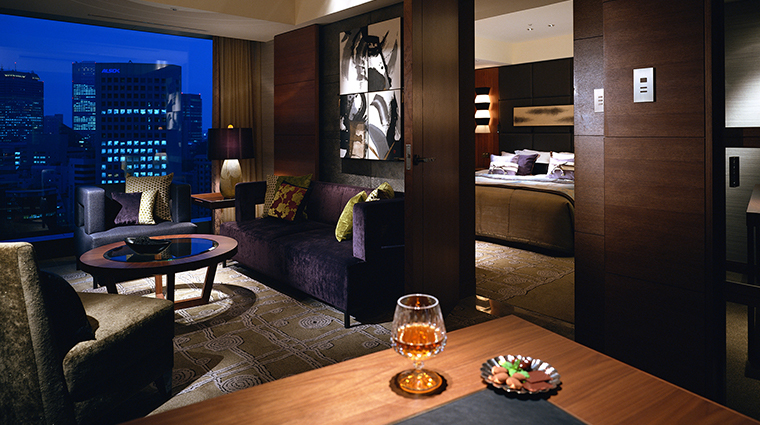 Sip on a glass or two at most of the property’s restaurants, or simply ask for a taste in the Executive Lounge. 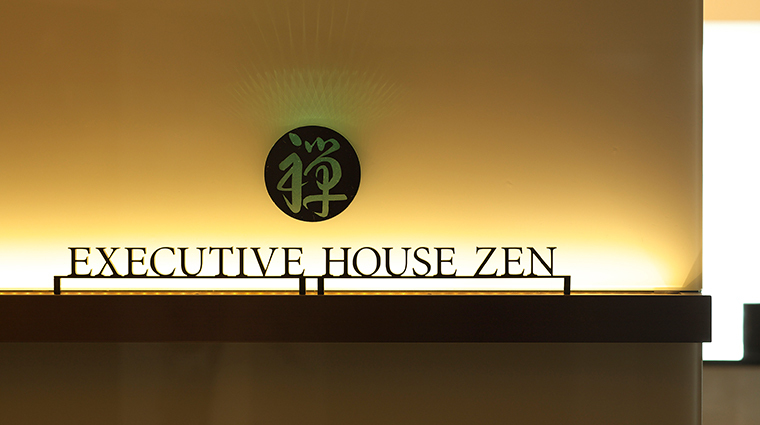 Executive House Zen boasts 87 beautifully appointed accommodations (including eight suites), each designed to soothe you into serenity. The décor is inspired by Japanese calligraphy — think bold black accents, carpets designed to look like ink marks on paper and calligraphy-inspired artworks adorning the walls. Rooms are decorated with elegant natural features such as bonsai trees, miniature rock gardens, bamboo and antique Asian earthenware. 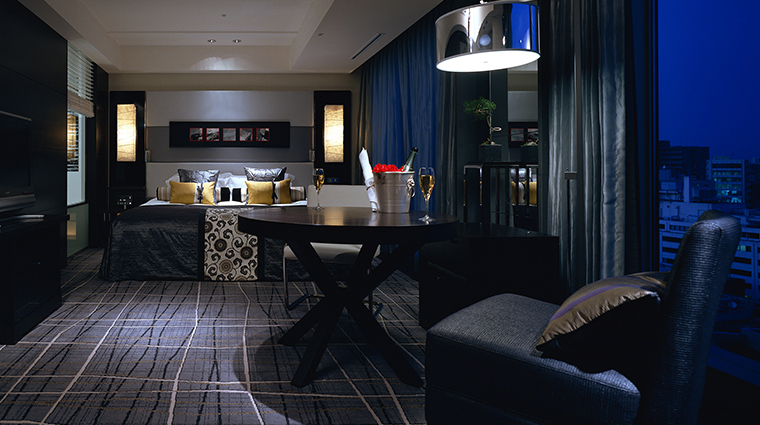 Suites are furnished with massage tables for in-room therapy. All accommodations feature tubs (many of which offer city or garden views) stocked with custom-made natural bath salts and Salvatore Ferragamo amenities. Japanese imabari towels and robes turn your bathroom into a spa escape. Executive House Zen guests enjoy access to Hotel New Otani’s 38 outstanding restaurants, many of them favorites of visiting celebrities and foreign dignitaries. The selection is vast: French fine-dining, sushi, Tahitian cuisine, tempura, American breakfasts, noodles and curry can all be had without leaving the property. 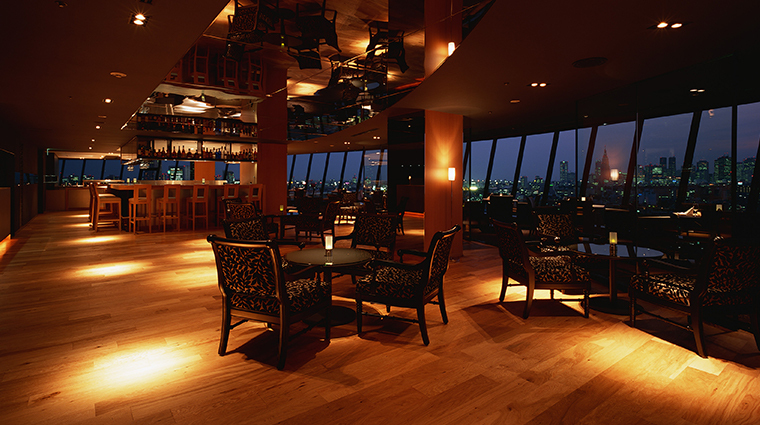 The most famous restaurant at this Chiyoda hotel just might be Tour D’Argent Tokyo. A French fine-dining institution since 1582, the Japanese outpost is the only branch of this Parisian staple in the world, serving up classic cuisine (such as its signature roast duckling) among spectacular European antiques. 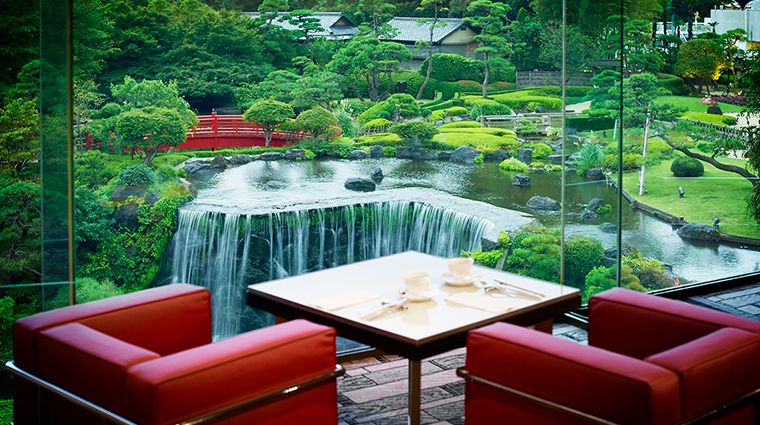 For a taste of Japan, head to Sekishin-Tei in the luxury hotel's garden. 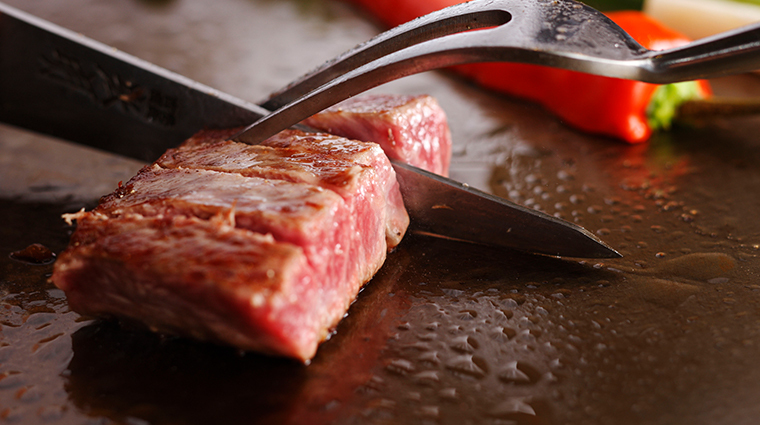 Housed in a Japanese-style cabin, this tiny teppanyaki spot overlooks the koi pond and serves exquisitely grilled beef and seafood selections, cooked to order. Breakfast at Executive Lounge is worth staying for. The best in Japanese and Western fare is available daily, including coddled eggs, fresh Pierre Hermé pastries, local vegetables from Ebihara Farm, and medicinal Chinese rice porridge.